Saving money on a new Jeep in South Carolina is simple. The first step is to research the Car model of interest and identify any other vehicle of interest. You’ll receive Car price quotes from South Carolina Car dealers. Simply compare prices to find the best Car prices in South Carolina. 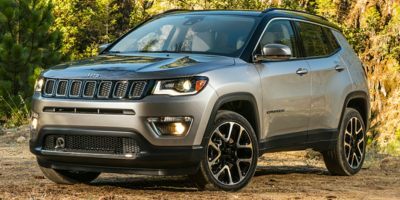 The 2018 Jeep Grand Cherokee is available in several trims: Laredo, Limited, Overland, Trailhawk, Summit, the high-performance SRT, and the over-the-top-high-performance Trackhawk. 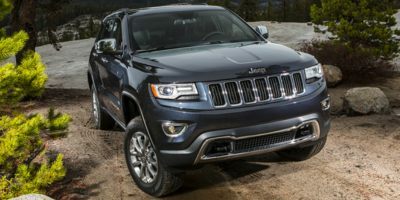 Special trim packages include the Altitude, Upland, High Altitude, and Sterling Edition, which celebrates the Grand Cherokee's 25th anniversary. All but the SRT and Trackhawk feature a standard 3.6L Pentastar V6 engine that makes 295 horsepower and 260 pound-feet of torque. The flexible-fuel engine features variable-valve timing and lift as well as auto-stop/start technology and is mated to an 8-speed automatic transmission. Limited, Overland and Summit models offer an optional 3.0L EcoDiesel V6 with 240 horsepower and 420 lb-feet of torque. The engine achieves up to 30 mpg on the highway and gives Grand Cherokees so-equipped an effective range of up to 730 miles on a single tank of fuel. A 360-horsepower 5.7L Hemi V8 engine is also available on all trims but Laredo. The SRT comes with a 6.4L V8 that makes 475 horsepower and 470 pound-feet of torque. Finally, the new Trackhawk is powered by a 6.2L V8 that makes 707 horsepower and 645 pound-feet. Jeep claims it will reach 60 mph in just 3.5 seconds. The Upland, Trailhawk, SRT and Trackhawk models come only in 4WD. The off-road-oriented Trailhawk trim employ Jeep's heavy-duty Quadra-Drive II 4x4 system, while the SRT and Trackhawk utilize the Quadra-Trac on-demand all-wheel drive. All other Cherokees can be outfitted in either 2- or 4-wheel drive. Independent front and multi-link rear suspension systems and a unit-body structure have made the Grand Cherokee's frame very rigid. Jeep's Quadra-Lift air suspension, capable of lifting the vehicle 4.5 inches for more off-road ground clearance and Selec-Terrain traction control systems are available on 4-wheel-drive trims only. Standard safety equipment across the lineup includes 4-wheel antilock disc brakes, active head restraints, a full array of airbags, including full-length side-curtain and seat-mounted side thorax air bags, electronic stability control, electronic roll mitigation, hill-start assist, auto-on headlights, trailer-sway control and tire pressure monitoring system. Adaptive cruise control is also available, along with front collision alert and front park assist. Standard equipment on the base Laredo includes keyless entry, 17-inch aluminum wheels, dual-zone air conditioning, a leather-wrapped steering wheel with audio controls, an anti-theft system, MP3 player and an auxiliary power outlet. The Limited trim adds upgraded 18-inch aluminum wheels, a leather interior with power-adjustable heated seats and memory. The panoramic sunroof is an upgrade, as is a premium sound system with hard disk storage and satellite radio. Safety and convenience are enhanced with a rear parking aid, integrated turn signal mirrors, rain-sensing wipers and HID headlights. Comfort enhancements include automatic climate control, proximity entry and heated rear seats. Trailhawk models come with Jeep's Quadra-Drive II 4x4 system, which uses an electronic limited-slip differential in the rear and Quadra-Lift air suspension to improve off-road performance. These refinements add improved articulation and additional travel to the already capable Grand Cherokee. The Trailhawk also gets a unique black interior with suede performance seats, and a gunmetal finish for the interior trim. Outside, Trailhawk models get 18-inch wheels, red tow hooks, Goodyear Adventure off-road tires with Kevlar reinforcement and red Trailhawk badges. The Overland gets 20-inch aluminum wheels, Napa leather upholstery with heated and ventilated front seats and a heated wood/leather steering wheel. It also gains a remote trunk release and a power liftgate. The Summit includes adaptive cruise control, a blind-spot/rear cross-path detection system, front collision warning and exterior trim enhancements. The 4-wheel-drive models are all seriously capable but can be outfitted to a greater degree depending on the customer's interest. Off-road packages that include skid plates, hill descent control and a high-performance Quadra-Drive II 4WD system are available. The Grand Cherokee SRT is a different beast entirely-- intended for on-road performance, it utilizes an on-demand 4-wheel drive system, a 465-horsepower 6.4L V8 engine and an 8-speed automatic transmission. Underneath, there's an electronic limited-slip differential, active damping suspension and performance-tuned steering. Big 20-inch aluminum wheels, special body-color trim, HID headlamps, fog lamps and rain-sensing wipers are standard as well. Inside, the SRT comes with heated and ventilated power-adjustable leather seats, a heated steering wheel and keyless proximity entry. If the SRT is a different beast, then the Trackhawk is otherworldly. Beyond its 707-horsepower V8, the Trackhawk includes yellow Brembo high-performance brakes, launch control and the new Uconnect 4C navigation with an 8.4-inch touchscreen. A 19-speaker audio system with active noise cancellation is available, as is a plush leather interior. Trims like the Altitude, Upland, and High Altitude feature appearance packages to set them apart from the Laredo and Limited models, including 20-inch gloss black wheels, special badging, and more. The Sterling Edition, meanwhile, celebrates 25 years of the Grand Cherokee, with platinum chrome trim, special badging, distinctive seating with decorative stitching and more. Compare South Carolina Jeep prices. 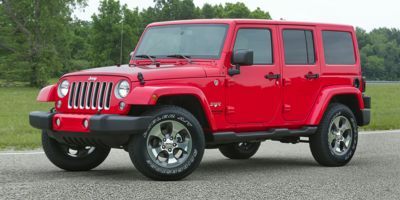 Get free price quotes for any Jeep in South Carolina. See the invoice price, MSRP price, and clearance prices for all vehicles. Save big when South Carolina Jeep dealerships compete on price. Compare Jeep prices, pictures, reviews, local rebates and incentives, and more. View all used vehicles for sale in South Carolina. Compare used Jeep vehicles and get the best deal in South Carolina. See prices, pictures, vehicle specs and everything you need to get the best deal on a used Jeep. Bad credit auto loans and good credit auto loans for a new or used Jeep in South Carolina. Compare current auto financing rates and get approved before you go to the dealership. We can get financing for nearly all new or used Jeep buyers in South Carolina. Get a free auto loan quote today. Compare auto insurance rates from top lenders. Get the lowest monthly payment on a new or used Jeep in South Carolina. With free Jeep insurance quotes, you can save money regardless of driving history.